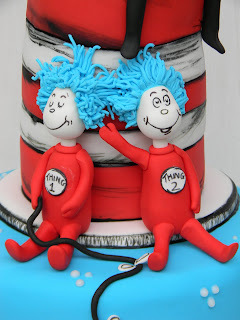 Do you love cake, and adore Dr. Seuss? Do you struggle to bake, but only gawk like a goose? Just feast your eyes, and take a gander at these! 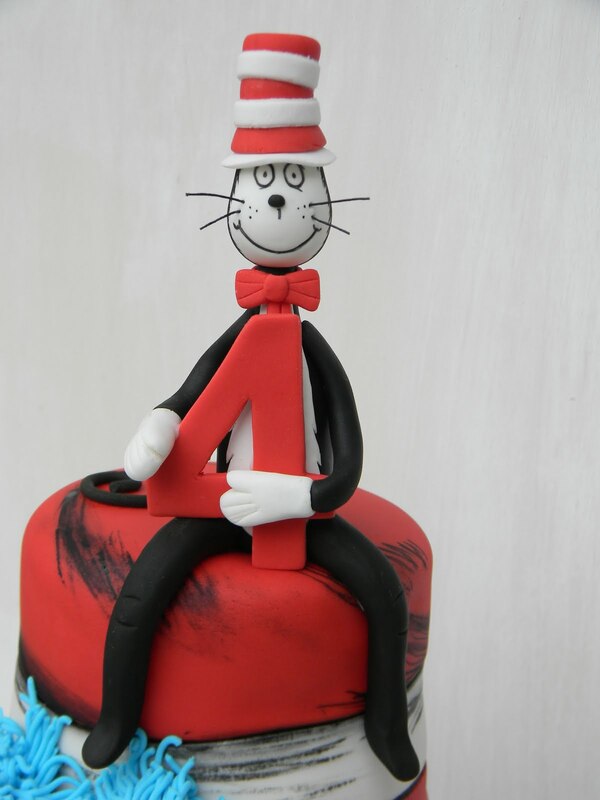 Here is the Cat in the Hat cake I completed this afternoon. The bottom tier is 2 x 8" inch round stacked cakes and the top tier is 3 x 4" inch round stacked cakes. The flavour was choc marble mudcake with double choc buttercream frosting. 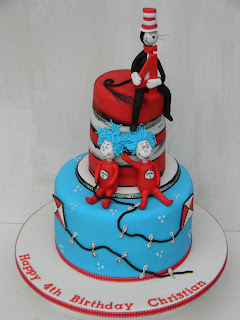 All the figurines are made from flower modelling sugar paste and the black markings are created using edible black pen. 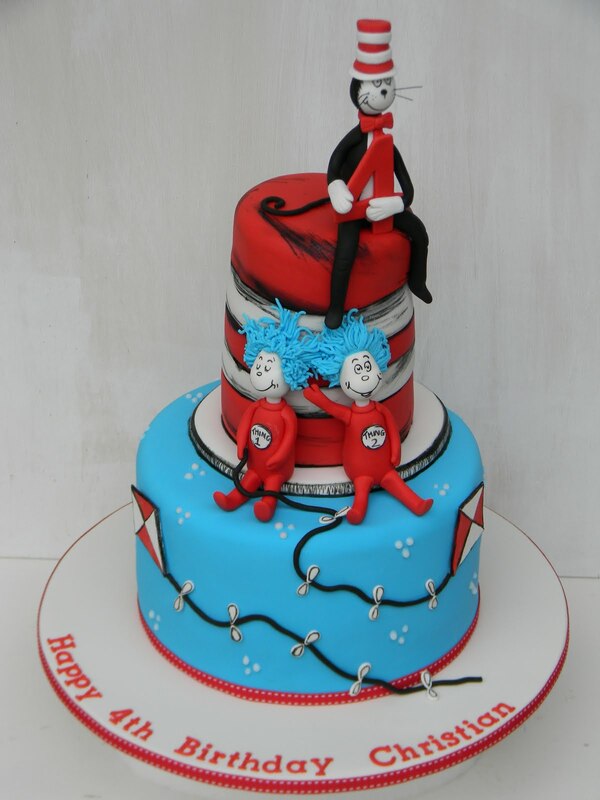 I loved making the twins the most, they were so cute!! Oh I love them. Gorgeous! you're just amazing! too cute! I'm happy with the article, and I like it that you shared it with us. It was very interesting and I felt it was very cute.